By Odin’s beard! 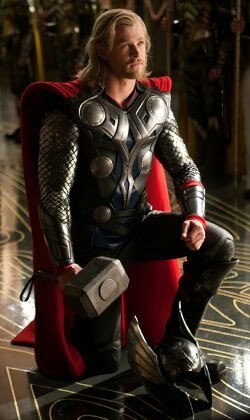 According to The Hollywood Reporter, Disney and Marvel Studios have agreed to move forward with a sequel to Kenneth Branagh’s Thor, slated for release on July 26, 2013. Although Branagh will reportedly not be sitting in the director’s chair this time around, he will serve as a producer. Chris Hemsworth is attached to reprise his role as the titular Asgardian God of Thunder. I’m excited to see what’s in store for this character after the events of next summer’s Marvel team-up film, The Avengers. Hopefully, Natalie Portman also returns as Thor’s earthbound lady friend, Jane Foster.